Over the course of the season, Chris Kunitz metamorphosed from Sidney Crosby's longtime linemate to a diminished role in the bottom six. His offensive production declined over the past few seasons. Now in the latter half of his 37 years, his skills are declining and he missed most of April with a lower-body injury. In the game of life, Father Time is undefeated. That doesn't mean Kunitz isn't an impact player anymore. His double-OT goal to close out the series against Ottawa won't be his last goal this postseason. Beyond his goal-scoring, Kunitz's fingerprints were all over Game 7. His perfectly-timed screen in front of Craig Anderson ensured that Justin Schultz's shot would find the back of the net. And the Pens' season might've been over early in OT if Kunitz hadn't blocked Mark Stone's shot. There's no denying that Kunitz is a big-game player. Sid scored his 1000th point with an assist on Kunitz's last goal in February. During Game 6 of the Stanley Cup Final against San Jose, Kunitz summoned the speed to deny Joel Ward on a breakaway without drawing a penalty. Or dial it back to 2009 when he won a 2-on-1 puck battle to spring Max Talbot in what would be the game-winning goal in Game 7 against the Detroit Red Wings. 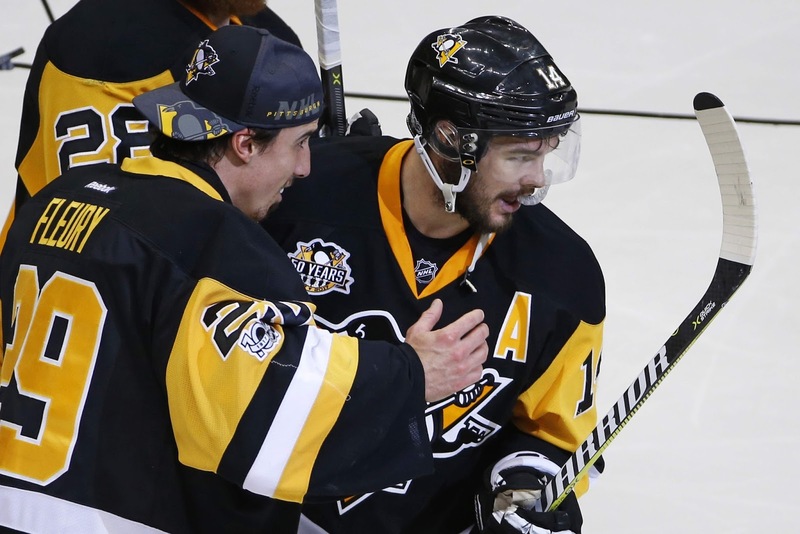 I'm just saying, I think Chris Kunitz has a case for "Mr. Game 7." One of the most admirable and endearing qualities about Kunitz's leadership is his willingness to step up for his teammates. And not in a way that's going to get him tossed from the game. He's a better man and player than guys like that. Something awoke inside Kunitz after Crosby was concussed at the feet and stick of Alex Ovechkin and Matt Niskanen. For the rest of that game, I heard the familiar thuds of Kunitz slamming various Capitals into the boards. Even if it's not apparent from looking at the score sheet, Kunitz has elevated his play since that game. Kunitz is the UFA this off-season that few people were talking about before Game 7. Kunitz isn't going to play for another team. Either he returns as a Penguin or he retires as a Penguin. I wouldn't be surprised if he took a big pay cut to stay with the Pens. He's still a good role player who has a lot to offer in terms of leadership and intangibles. Don't forget that he wears an "A" and the younger guys look up to him. A lot of fans (myself included) have been unfairly tough on Kunitz over the past few seasons. At times, he's been an easy target to project our frustrations at. It's easier to focus on the mistakes he makes in the spotlight, rather than admire what he offers this team when we're not watching. Lest we forget, Kunitz may not be a Hall-of-Famer in the minds of many, but if the Pens win he'll be collecting his fourth Stanley Cup ring.